ஐக்கிய நாடுகளின் பொதுச்சபை, பெண்களுக்கு எதிரான வன்முறை பற்றிய விழிப்புணர்வை உண்டாக்கும் விதமாக, ஆண்டுதோறும், நவம்பர் 25-ம் தேதியை பெண்களுக்கு எதிரான வன்முறை ஒழிப்பிற்கான சர்வதேச தினமாக (International Day for the Elimination of Violence against Women) கடைபிடிக்கிறது. 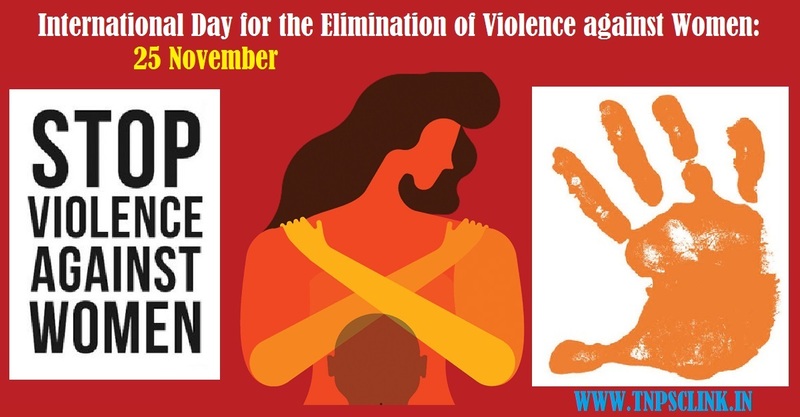 On 20 December 1993, the General Assembly adopts the Declaration on the Elimination of Violence against Women through resolution 48/104, paving the path towards eradicating violence against women and girls worldwide. 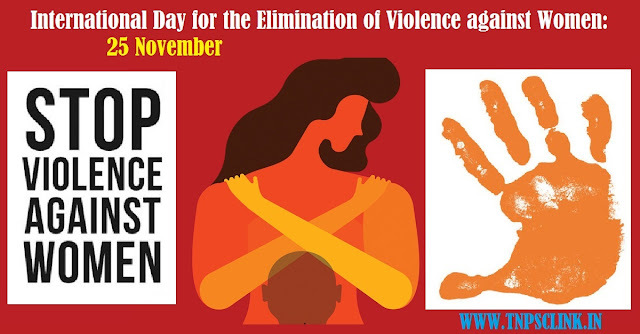 Finally, on 7 February 2000, the General Assembly adopts resolution 54/134, officially designating 25 November as the International day for the Elimination of Violence Against Women and in doing so, inviting governments, international organizations as well as NGOs to join together and organize activities designed to raise public awareness of the issue every year on that date. 2018 Theme/Campaign: "Global Action: Orange the World"
The 25th of every month has been designated as Orange Day by the UN Women campaign Say No, UNiTE launched in 2009 to mobilize civil society, activists, governments and the UN system in order amplify the impact of the UN Secretary-General’s campaign, UNiTE to End Violence against Women. Participants the world over are encouraged to wear a touch of orange in solidarity with the cause - the colour symbolizes a brighter future and a world free from violence against women and girls.